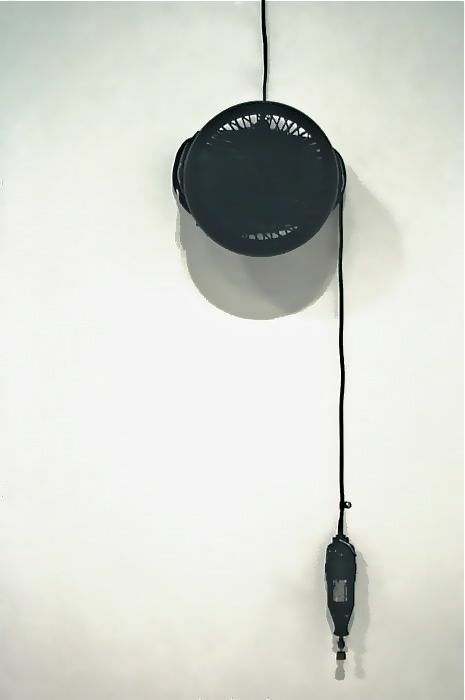 This sound and haptic work is triggered by the motion of viewers near it. Simply, a fan and dremel tool are activated and resonate at the interval of a tritone, a flatted fifth. Interestingly, this interval was illegal to use for religious musical composition for years as it connoted discord and demonic attributes.